The image of a modern woman resembles that of Goddess Durga with eight hands. She is expected to be on her toes, revolving in all directions, and managing everything in her wake — work, home, kids, family, etc. With so much to do at hand, it seems rather impossible to have some much needed ‘me’ time. Self-love, self-worth, personal outlook and individual space — we need to rev all this up so we can continue with our daily tasks. Low on energy, grumpiness, and lethargy, there is no room for all these emotions when you are practicing the all-encompassing science of yoga. Yoga can be an excellent self-care tool especially for the working woman who has no time for herself. After running home errands and completing to-do lists at work, yoga comes to you as a gift; your timeout time. Here are some yoga poses for busy women you might want to try. Strengthening and adding confidence to the practitioner’s body, the tree pose is all about balancing. If you want to test your concentration power, stand on one foot while placing the sole of the other on the thigh of the standing foot and you would know where your concentration levels stand. This pose is known to balance the entire body, increase flexibility in the spine, open up the chest and increase the flow of oxygen in the body. It opens up the heart chakra and also strengthens the lower body. Being on her toes all day, a busy woman needs a strong lower body as well as a grounded mindset. 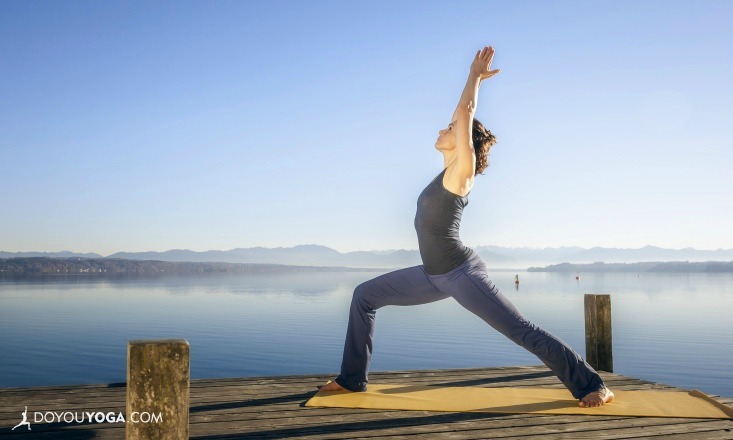 Warrior pose offers both of these qualities along with many other benefits. Activating the sacral plexus chakra, it is also known to release the trapped emotions in the hip region (a common place to store unreleased emotions), as it stretches the hips, quadriceps, and both inner as well as outer thighs. It adds strength to the arms, shoulder and to the core region. It is an overall energy booster. This pose deeply works on the inner thighs, hip flexors and hamstrings, and can cure all the constrictions created by long hours of sitting in front of a desk, tightness in the hips, stiffness or pain in the lower back. Firstly, it sends increased flow of blood to the brain, thereby de-stressing the mind as well as removing brain fog. Secondly, it relaxes the lower back by stretching and massaging the muscles in the lumbar section. Constipation, stomach cramps, menstruation pain etc. — these are regular problems faced by women. The food we eat is usually boxed, processed or lacks good fiber content. This pose is helpful in promoting a healthy gut and allows a healthy flow if practiced regularly as it creates pressure on the intestines. Working on the lower body, it opens up the hip flexors and makes more space for back muscles to easily sit and therefore helps in relieving back ache as well as soothing lower back. Cobra is the busy woman's go-to cure especially those struggling with back pain. It also strengthens the lower back muscles to avoid future back ache and corrects rounded shoulders and blockages of the heart chakra, a common consequence of a sedentary lifestyle. Offering the benefit of a crunch or an intense ab workout, this pose is beneficial when you have no time to squeeze in a good workout but want to shed the extra flab on the belly and lower back. It builds strong abs and back, and offers a toned core without straining the neck. It also boosts digestion and offers relief from constipation. This prone pose allows the practitioner to strengthen and enhance robustness in the back muscles, and increase flexibility. Women who experience difficulty sitting for prolonged periods or bending forward or backward can start with the basic bridge pose. 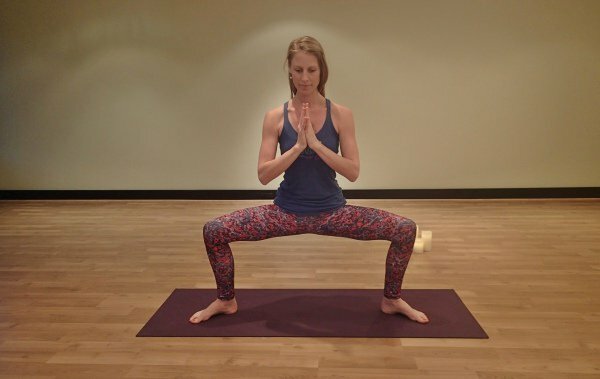 Bridge pose strengthens the glutes and tones the hip muscles. The action of lifting the pelvic floor up while in prone position is a common exercise used in the gyms to carve out and tone the lower body. Twists form an integral part of any yoga routine, as the spine needs to stay supple and flexible. This seated pose can be highly beneficial in massaging the organs like the stomach, liver, pancreas and gall bladder. Twists can also actively tone the sides of the abdomen and trim the waist. All these eight yoga poses, if practiced everyday or thrice a week for five to seven breaths, can offer more than just long-term physical benefits. The sense of inner calm and clarity you'll get from having time to yourself and directing your focus inward will also improve your mental and emotional well-being — leaving you more equipped and ready to take on whatever tasks and curveballs life may throw at you. What are some of your go-to poses when things start to feel a little bit crazy? Share your thoughts and suggestions below!